^ a b c Wood, 2006b. ^ Brennan, Daniel. "Did James Madison suffer a nervous collapse due to the intensity of his studies?" Mudd Manuscript Library Blog, Princeton University Archives and Public Policy Papers Collection, Princeton University. ^ ポール・F・ボラー・ジュニア（著）、吉野寿子（訳）. アメリカ大統領の妻たち. メタモル出版. p. 50. ISBN 4895952584. ^ James Madison Biography, American-Presidents.com, Accessed on July 29 2009. ^ Wood, 2006, pp. 163-64. 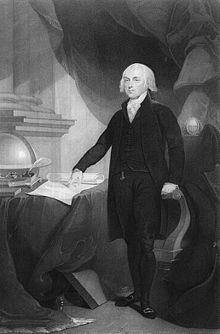 ^ Lance Banning, "James Madison: Federalist," note 1, . ^ Matthews, 1995, p. 130. ^ Matthews, 1995, p. 142. ^ Wood, 2006a, p. 165. ^ Paul A. Varg, Foreign Policies of the Founding Fathers (Michigan State Univ. Press, 1963), p. 74. ^ 1792年5月26日には既に、ハミルトンが「マディソン氏はジェファーソン氏と協力して、私と私の運営に決定的に敵対的な派閥の長になっている」とこぼしていた。Hamilton, Writings (Library of America, 2001), p. 738. 1792年5月5日、マディソンはワシントンに「形成されつつある党の精神に敬意をこめて...私はその存在に気付いている」と告げていた。 Madison Letters 1 (1865), p. 554. ^ Tax Foundation Archived 2006年6月27日, at the Wayback Machine. ^ Garry Wills, James Madison (Times Books, 2002), p. 163. ^ Drew R. McCoy, The Last of the Fathers: James Madison and the Republican Legacy (Cambridge Univ. Press, 1989), p.151. ^ Wills 2002, p. 164. ^ Allan H. Keith, Historical Stories: About Greenville and Bond County, IL. Consulted on August 15, 2007. Madison, James (1865). Letters & Other Writings Of James Madison Fourth President Of The United States (called the Congress edition ed.). J.B. Lippincott & Co. http://books.google.com/books?vid=OCLC00239122&id=pb2s8DG_2WUC&pg=RA1-PR11&lpg=RA1-PR11&dq=Letters+%26+Other+Writings+Of+James+Madison+Fourth+President. Madison, James (1900-1910). Gaillard Hunt, ed.. ed. The Writings of James Madison. G. P. Putnam’s Sons. http://books.google.com/books?vid=OCLC00752381&id=ri4fEe_y99kC&lpg=RA3-PR21&dq=Writings+of+James+Madison:+comprising+his+public+papers&pgis=1. Madison, James (1962). William T. Hutchinson et al., eds.. ed. The Papers of James Madison (30 volumes published and more planned ed.). Univ. of Chicago Press. http://www.virginia.edu/pjm/description1.htm. Madison, James (1982). Jacob E. Cooke, ed.. ed. The Federalist. Wesleyan Univ. Press. ISBN 0819560774. Madison, James (1987). Notes of Debates in the Federal Convention of 1787 Reported by James Madison. W.W. Norton. ISBN 0393304051. Madison, James (1995). Marvin Myers, ed.. ed. Mind of the Founder: Sources of the Political Thought of James Madison. Univ. Press of New England. ISBN 0874512018. Madison, James (1995). James M. Smith, ed.. ed. The Republic of Letters: The Correspondence Between Thomas Jefferson and James Madison, 1776-1826. W.W. Norton. ISBN 039303691X. Madison, James (1999). Jack N. Rakove ed.. ed. James Madison, Writings. Library of America. ISBN 1883011663. Brant, Irving. "James Madison and His Times," American Historical Review. 57,4 (July, 1952), 853-870. Brant, Irving. The Fourth President; a Life of James Madison (Bobbs-Merrill, 1970). Single volume condensation of his series. Ketcham, Ralph. James Madison: A Biography (Macmillan, 1971). Rakove, Jack. James Madison and the Creation of the American Republic, 2nd ed., (Longman, 2002). Riemer, Neal. James Madison (Washington Square Press, 1968). Wills, Garry. James Madison (Times Books, 2002). Short bio. Wills, Garry. Henry Adams and the Making of America (Houghton Mifflin, 2005). a close reading. Banning, Lance. 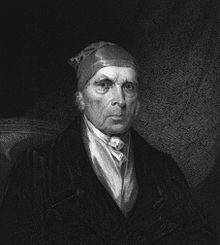 The Sacred Fire of Liberty: James Madison and the Founding of the Federal Republic (Cornell Univ. Press, 1995). online ACLS History e-Book. Available only to subscribing institutions. Brant, Irving. James Madison and American Nationalism. (Van Nostrand Co., 1968). Elkins, Stanley M.; McKitrick, Eric. The Age of Federalism (Oxford Univ. Press, 1995). most detailed analysis of the politics of the 1790s. Kernell, Samuel, ed. James Madison: the Theory and Practice of Republican Government (Stanford Univ. Press, 2003). Matthews, Richard K., If Men Were Angels : James Madison and the Heartless Empire of Reason (Univ. Press of Kansas, 1995). McCoy, Drew R. The Elusive Republic: Political Economy in Jeffersonian America (W.W. Norton, 1980). mostly economic issues. McCoy, The Last of the Fathers: James Madison and the Republican Legacy (Cambridge Univ. Press, 1989). JM after 1816. Munoz, Vincent Phillip. "James Madison's Principle of Religious Liberty," American Political Science Review 97,1(2003), 17-32. SSRN|512922 in JSTOR. Riemer, Neal. "The Republicanism of James Madison," Political Science Quarterly, 69,1(1954), 45-64 in JSTOR. Riemer, James Madison : Creating the American Constitution (Congressional Quarterly, 1986). Rutland, Robert A. The Presidency of James Madison (Univ. Press of Kansas, 1990). scholarly overview of his two terms. Rutland, ed. James Madison and the American Nation, 1751-1836: An Encyclopedia (Simon & Schuster, 1994). Sheehan, Colleen A. "The Politics of Public Opinion: James Madison's 'Notes on Government'," William and Mary Quarterly 3rd ser. 49,3(1992), 609-627. in JSTOR. Sheehan, "Madison and the French Enlightenment," William and Mary Quarterly 3rd ser. 59,4(Oct. 2002), 925-956. in JSTOR. Sheehan, "Madison v. Hamilton: The Battle Over Republicanism and the Role of Public Opinion," American Political Science Review 98,3(2004), 405-424. in JSTOR. Sheehan, "Madison Avenues," Claremont Review of Books (Spring 2004), online. Sheehan, "Public Opinion and the Formation of Civic Character in Madison's Republican Theory," Review of Politics 67,1(Winter 2005), 37-48. Stagg, John C.A., "James Madison and the 'Malcontents': The Political Origins of the War of 1812," William and Mary Quarterly 3rd ser. 33,4(Oct. 1976), 557-585. Stagg, "James Madison and the Coercion of Great Britain: Canada, the West Indies, and the War of 1812," in William and Mary Quarterly 3rd ser. 38,1(Jan., 1981), 3-34. Stagg, Mr. Madison's War: Politics, Diplomacy, and Warfare in the Early American republic, 1783-1830 (Princeton, 1983). Wood, Gordon S., "Is There a 'James Madison Problem'?" in Wood, Revolutionary Characters: What Made the Founders Different (Penguin Press, 2006a), 141-72. Wood, "Without Him, No Bill of Rights : James Madison and the Struggle for the Bill of Rights by Richard Labunski", The New York Review of Books (November 30, 2006b). United States Congress. "ジェームズ・マディソン (id: M000043)". Biographical Directory of the United States Congress.